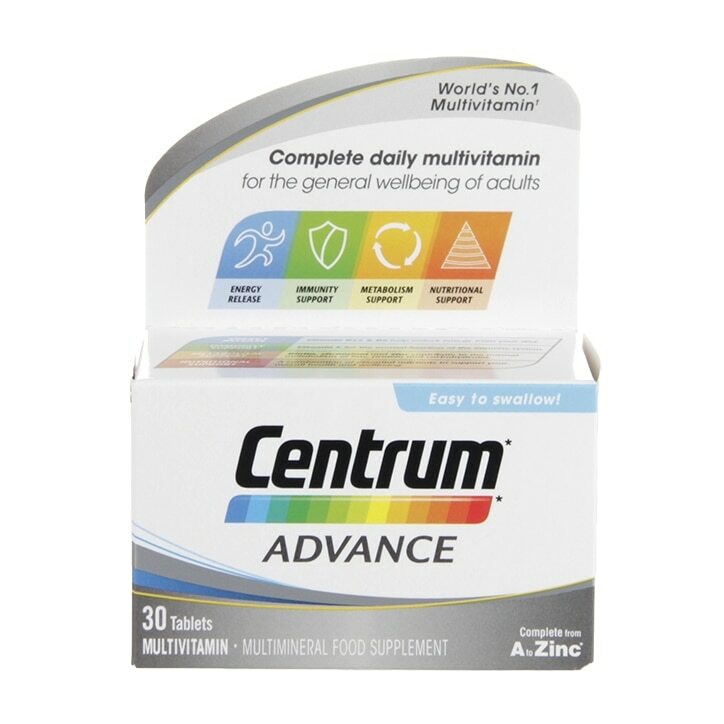 Centrum Advance Tablets is rated 4.3 out of 5 by 3. Rated 5 out of 5 by Sarah456 from Great product I find this to be a great help. It has a good combination of vitamins and I feel better taking it. Bought lots of it as was on offer. Rated 3 out of 5 by Veekay from Too Early to tell the Difference I have only just started taking the above Mentioned Multivitamins it's too soon to tell the Difference how I feel.